Graphically speaking, hardware from the 8-bit era of gaming can’t hold a candle to what modern silicon is capable of but that doesn’t necessarily mean decades-old games were easier to beat. Indeed, one could argue that games of yesteryear presented even greater challenges due to the simple fact that tips, tricks and cheat codes weren’t nearly as accessible as they are today. In those days, you had to turn to friends or family members, gaming magazines or dedicated cheating hardware like the Game Genie or Pro Action Replay for help. Nintendo gamers, however, had an additional option that was just a phone call away. 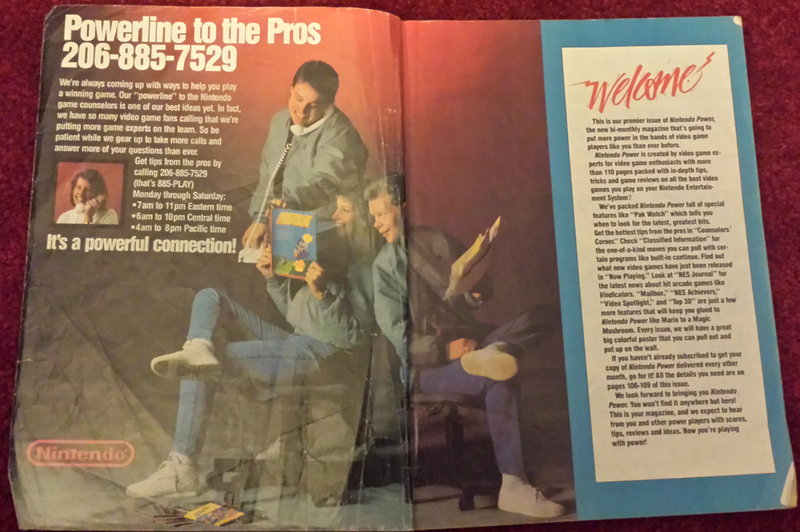 A quick call to the Nintendo Power Line would put gamers in touch with a Game Play Counselor that would help them get through tricky stages, locate hidden items or defeat tough enemies (for a substantial fee, of course). In lieu of computers, counselors had on hand actual binders full of screenshots, tips and codes as well as a vast collection of hardware and games allowing them to jump into the action and experience what the caller was going through on their end. The Power Line was eventually shuttered as the Internet rendered it useless but for millions of gamers of a certain age, it’ll forever hold a place in their hearts. Soon (and for a limited time), you’ll get to experience it all over again (or perhaps for the first time). In celebration of the upcoming launch of its NES Classic Edition system, Nintendo is bringing back the Power Line for three days only (November 11-13). Announced in July, the NES Classic Edition is a miniature replica of the company’s beloved mid-80s Nintendo Entertainment System. Rather than accepting original game cartridges, it’ll come pre-loaded with 30 of the all-time greatest NES games including Castlevania, Double Dragon II, Excitebike, Metroid, Punch-Out! !, Super Mario Bros. 1-3 and The Legend of Zelda, just to name a few. During launch weekend, anyone that finds themselves puzzled by one of the Classic Edition’s 30 games is invited to call the Power Line between the hours of 6 a.m. and 7 p.m. Pacific at (425) 885-7529 (that’s even the same phone number as the original Power Line save for the area code). Unfortunately, the revived Power Line won’t be manned by actual counselors. Callers will have to make do with recorded tips although Nintendo says there will be behind-the-scenes stories from original Nintendo Game Play Counselors (that alone may be worth a call for some). Nintendo didn’t mention whether or not it’ll charge for the temporary service. The NES Classic Edition arrives on November 11 priced at $59.99 and includes a replica NES controller as well as an HDMI cable and power cable.